One of the End-User started seeing this error in SharePoint 2007 - InfoPath form submission. 1. Try deleting the browser cookies at the Client browser first. See whether it helps. 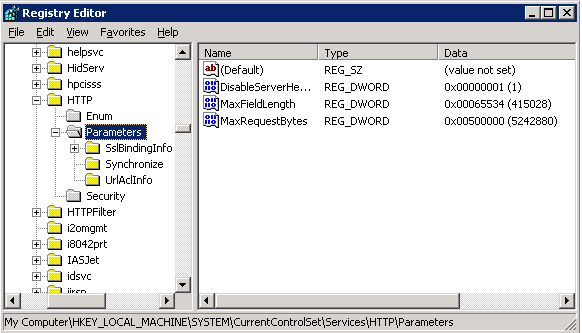 Save the below registry entries to .Reg file and merge it simply! Restart the server for the changes to take effect, and as always take backup before making any registry change.